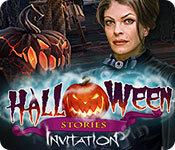 Halloween Stories: Invitation is rated 3.6 out of 5 by 16. Rated 5 out of 5 by SparkleGlow100 from Moody, Eerie and Very Detailed Really enjoyed playing this game. When you've had enough of colorful bling and want some great graphics, with lots of detail, spooky lighting, and lots of realistic-looking items included,- then here's your answer. It's definitely a serious game, with scares here and there. The HOPS were interesting to look at, and the puzzles varied. There's lot's of rooms to explore and the story line and characters were very well done all the way through to the end. The puzzles are interesting. Rated 5 out of 5 by skullfun from ~~TRICK OR TREAT, A DECEPTIVE PLOT JANE AND JOE MUST DEFEAT!~~ What an exciting adventure to celebrate Halloween. The best party of the year is happening at Mrs. Blackwell's house or is it? What begins with a party invitation soon turns into a web of deceit. When orphans Jane Stone and Joe Benson arrive at the party Mrs. Blackwell and her ghoulish "beyonder" side kick kidnaps Joe and locks him in the bedroom. Seems Mrs. Blackwell promised Joe that if helped you (Jane Stone) get to the party, she would tell him who his birth parents are. Jane is part of an order called "seers" as were her parents. The "seers" devised a magic seal to prevent "beyonders" from reaching our world. There's only one problem, the magic seal can be reversed once a year and the "beyonders" have figured out a way to remove it! Now it's up to you Jane to figure out how to stop Mrs. Blackwell, save Joe and use your magic to save the day and escape Blackwell's dastardly plans. This tumultuous task will definitely be one party-goers will engage in and Elephant games have made it spooktacular!!! 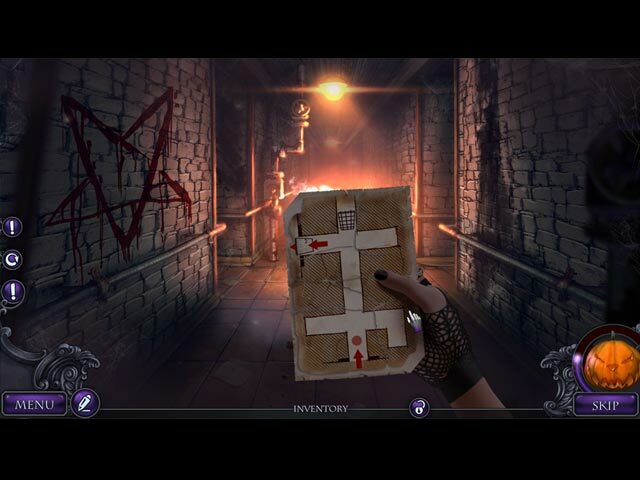 The heart-pounding music and the creepy ambient sounds also help increase the suspense of the game. Most of the HOP's offer a small interactive puzzle to solve. Don't forgot to look for the Morphing Object in each scene. More than worthy of a 5 star rating and a must-buy for me. Happy Halloween gamers!!! Rated 5 out of 5 by raydog from Terrific solitaire game! This game is just wonderful! I finished it but now I am going back to get three stars on all the levels. You really need power ups to finish the higher levels. I also love the mahjong bonus levels too. The graphics are wonderful. The haunted castles that you build are just beautiful! Rated 4 out of 5 by Damocles_Tony from A deal at the current price I bought this game a while back now but just noticed it had come up as a discounted deal for today so thought I'd put a word in for it. 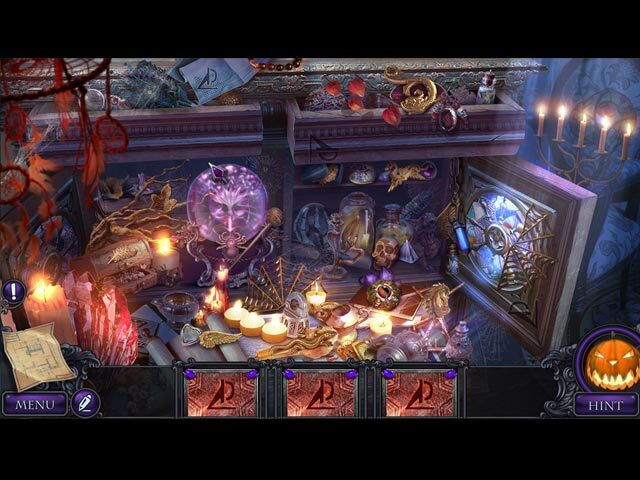 I'm not a huge fan of hidden object games but I did enjoy playing through this one and I don't finish many. In fact I've lost count of the many I've tried as a demo and removed them after 10 minutes. Well worth a play if you want some mild scares and an interesting rescue story. It's on a daily special today so snap it up while it's cheap as well. Rated 4 out of 5 by ninja226 from Entertaining HOP just shy of greatness You're invited to a Halloween party taking place at a haunted house mansion, and quickly discover the party is more than you bargained for with your friend kidnapped by a sinister woman named Mary. As you attempt to rescue your friend, you discover you are part of the Seers....dum dum dum The graphics should please those who like Halloween horror, without being overly gruesome or bloody. However, it is not a pretty, pretty type of graphics. The storyline is excellent, but the standard version leaves you wanting for more, and the ending is somewhat abrupt, perhaps deliberately. 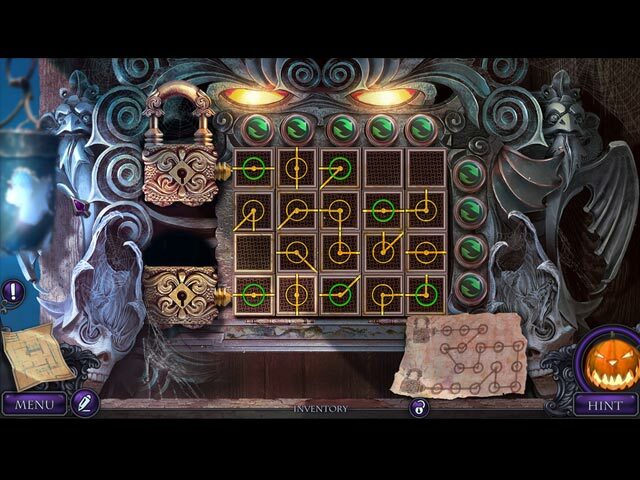 The best part of the game are the puzzles, which range from easy, peasy to moderately challenging, but not exasperatingly hard. There's a good balance of HOPs to puzzles, about 1:1 ratio. Actions to take are easy to intuit, which enhances the detective mode of the game, and for me, makes it super fun to play. I would have given 5 stars if the story for the SE were more complete/longer, but the series is off to an excellent start. Rated 4 out of 5 by pennmom36 from MARY, MARY, QUITE CONTRARY, THOSE BEYONDERS WILL MAKE US SING LIKE CANARIES! Halloween Stories is an awesome introductory game that I'll look forward to playing next year's release. It is a bit on the short side, offering only 3 chapters, but that doesn't bother me as long as it has a good plot, and this one certainly does. I agree with kerith90angel's statement that it would be nice if the devs would offer replayable videos as a standard option, or at least a play by play storyline journal to refer to. I too always wait for a good CE sale, and I usually don't finish playing the game until the SE is released, and by that time you usually forget many of the details. I highly recommend this game as a Collector's Edition because this is one of the few games that's truly CE worthy with Morphing Objects, Puzzle Fragments, and cleverly hidden spooky dolls. Here's a recap of my review to help you decide which version if either is right for you: Haunted Hotel move over! This is the big leagues baby, and this will be an evening Jane and Joe will never forget, unless they die of course. Halloween costume, check. Huge pumpkin head mask, check. An extra pair of clean underwear, ugh, prolly not, but this looks like the most awesome Halloween costume party ever! That's because it's real, these guys are the real McCoy's, and these two orphans are in for an unforgettable evening, as they try desperately to find each other first, and then a way out, before the Beyonders do terrible beyonder things to them! This is my favorite kind of game, filled with creepy Ninja dolls that climb the walls, evil sadistic looking clowns (I couldn't stop making the clown do his creepy eye laughing thing, I spent more time interacting with the weirdness than playing the game) Just when I thought this game was going to be the first game to push the limits of the horror genre games here at big fish, they backed off and added some pretty comical features. I'm pretty sure they weren't doing this intentionally, but for once I want to play a game that doesn't hold back, and I'm bettin' a game like that would skyrocket sales. I know a lot of people don't like dark games with things that go bump in the night, and I'm okay with glittery games filled with unicorns occasionally, but there's way more horror genre fans than not, otherwise there wouldn't be so many games like this offered. I say, make me show proof of age (cause I can double it!) and make me tremble with fear! In the Collector's Edition version, there are Morphing Beyonders Objects to find in each scene, Album Picture Fragments to collect and assemble 4 eight piece puzzles, and 12 Rare Halloween themed Dolls to find. (love the dancing skeleton) I'm glad I don't have to hang on to them for real, everyone knows creepy dolls are always possessed just like Annabel! Right at the get go, Joe suspiciously disappears, and come to find out, he's been taken hostage. Surely it will be difficult to find Joe in this huge mansion filled with things that go bump in the night, right? Oh look, here's your sign..Hostage This Way, written in blood...red paint. That was easier than I thought it was going to be! So once I find a map leading to THE very room I need to find, I decide to investigate my surroundings, while trying my best to be stealth like so as not to alert the Beyonders. First things first, fix the broken wire to the lights so I can see, I'm sure a light won't alert the bad guys to use as a beacon to find me. (why are wires always on the outside of the wall, and always frayed in half just shy of the switch?) By this point, I've already removed the famous broken skeleton key from the door lock, found away to open the ole "trap door hidden under a rug with a missing handle, used a coin as a screwdriver, solved a mini game to open a ridiculously complicated purse lock, used a rag as a tourniquet to compress solid iron pipes, found and used a razor blade to find a hidden treasure inside a sewn up patch, and of course found and replaced every emblem ever made since the beginning of time, to open up every trinket box and hidden caches I've come across, and this is just the third room! Moving on to the hostage situation, I enter an underground maze of complicated tunnels, most of which lead to a dead end. At one point did this lead somewhere? Did they scrap this passage mid-way during construction? It's a good thing I have a map to follow, don't all mansions come stock with a map? Did I mention there's a horseshoe shaped magnet just out of reach that I simply must have, because I need it to remove an important object inside a Spider cage? Did I mention the bars on the cage are so wide I could stick my hand through them, if it weren't being guarded by an attack steroid ridden spider? He's still just a spider, I'm pretty sure he can slip through the bars with no problem! By now I've had several close encounters with a ghost who seems to just float back and forth, with seemingly no rhyme or reason, surely it's a trick? Finally I reach the bedroom where Joe is being held hostage, bummer, the door is locked with a keypad. It's a good thing the code is written on the glass next to the lock. (the keyword is glass, Joe could have easily busted the glass and escaped) In all fairness Joe's hands are bound with magic rope? It's okay though, he knows they hid the special Magic Knife in the same room he's in, he just doesn't know where?? In order to find this knife, I need to look for some anti-rust remover, this stuff impresses me more than a Magic rope does hands down. But wait, first I need to find a drawer pull because its missing one, and simply placing a new drawer pull on the opening always seems to do the trick! While I'm searching for a way to free Joe, I may as well place these fragments on the picture and do a little Hidden Object searching. Man, this picture suddenly does seem larger up close, it's so big I have to look at it in 5 different sections as I practically do a 360 degree panoramic viewing! I'm totally exhausted at this point, this is a big house after all. On a serious note, although it sounds as if I was unimpressed with this game from my review, I'm not. Quite the opposite, I just like to look at unrealistic things with a sense of humor. I loved the creep factor, and even though all of the tasks are predictable and obvious, I still had a blast playing it, in fact I've already bought it! The Collector's Edition mostly has a bunch of creepy dolls and clowns speaking Latin, Spiders and cobwebs, shadows and objects that come to life and some even jump out at you. It also has 8 Concept Art pictures, 8 Wallpapers, 4 Music Soundtracks, 24 Achievements to earn, a Secret Room, Collectible Fragments to assemble 4 Album pictures with 8 pieces each, 12 Collectible Halloween themed Doll Figurines, and Morphing Objects, enjoy the escape! Rated 4 out of 5 by LaTusita from Too Short I had fun playing Halloween Stories: Invitation. Yes, you have to suspend logic in your brain, but it is a game. However, it is Very, Very Short and I think anyone who buys the SE will be disappointed. I am not as fast a player as many in the Pond due to real life getting in the way of fun time, so I was anticipating Halloween day to be long gone before I finished the game. Not so. There are only three chapters in the main game so this is one of very few games that I would suggest only buying the CE.